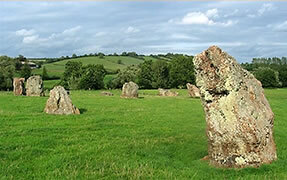 Recently in England, some of the EESystem team visited some fascinating prehistoric stone circles called Stanton Drew. Three different circles were created and, remarkably, some of the stones are still standing. We couldn’t help but notice the North East Circle, made up of 8 precisely aligned megaliths, is set up exactly like one of the possible 8 Unit EESystem configurations. 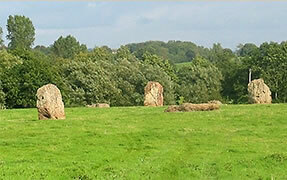 These stone circles date roughly to the early Bronze age (approx 3000-2000 BC). It is believed the stone circles had some role in social and/or religious life, but this intrepretation is highly subjective. However, it’s fair to say they held some significance for the various peoples who created, modified and used these stone circles through the ages. Is this an example of a prehistoric Energy Enhancement System? We’ll never know for certain, but it’s an incredible place to sit and wonder.